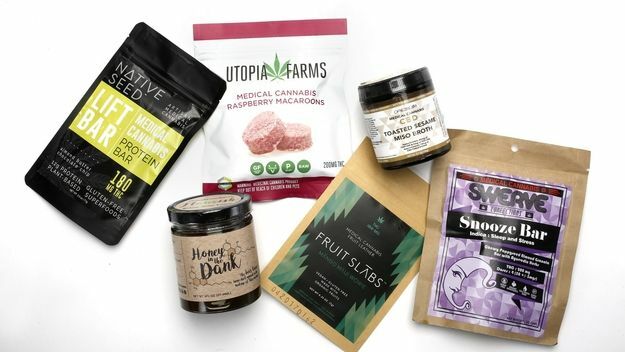 Why cannabis will be major food trend in 2018 • ProLabel, Inc.
For the first time since legalization sprouted in Colorado in 2014, cannabis is seducing the specialty food makers and marketers serving high-end retailers and well-heeled bellies across the Internet and America. Shortly after, another pillar of America’s mainstream commercial food industry, Nation’s Restaurant News, predicted this will be the year restaurants in cannabis-legal states embrace cannabidiol (CBD). CBD is the plant’s second most common active ingredient. It does not cause a lift in mood (euphoria) but can treat pain, anxiety and inflammation.